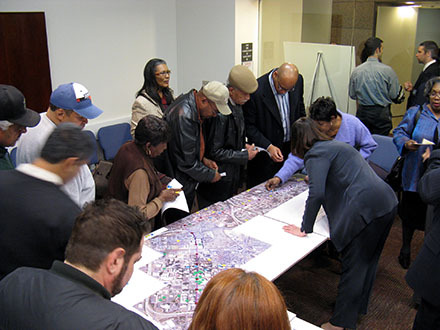 System Members are defined as North Carolina municipalities, counties, transit/transportation authorities, nonprofit transit/transportation agencies, and private agencies, which operate or regulate a public or human service transportation system. Our members play an important role in the advocacy work of the Association. They serve on the NCPTA Board of Directors and working committees to ensure public transportation remains responsive and relevant for the citizens of North Carolina. Members have the opportunity to share in and benefit from the collective resources of the Association including the annual training conference and their collaboration with our business partner Associate members. The membership period for System Members is from July 1st to June 30th. The annual dues for a System Member are based upon the system’s annual operating expense as reported to the NCDOT Public Transportation Division. Please open FY 19 System Dues and then return to join our thriving organization today! Thanks for supporting the ongoing work of NCPTA! Associate Members are defined as entities providing goods and/or services (including COGs, MPOs, and RPOs), universities and other educational or research facilities, private bus companies, and private public transportation advocates, including individuals. The NCPTA Associate Members are also a powerful component of the Association and they are provided the same opportunity and benefit as are System Members. As the providers of products and services, Associate Members are uniquely positioned in designing and developing the future of public transportation. Whether it be the overall planning and design or the type of vehicle that is best for a particular service, or the information and technology used by both those who provide and use a particular service, Associate Members are always assisting the System Members in their service to the public. The period of membership for Associate Members is one year from the date of joining. The annual dues for an Associate Member is only $300.00. Join our thriving organization today!